Introducing the Concept 300 Loudspeaker by Q Acoustics. Q Acoustics has built a reputation for excellent products since they formed in 2006. Receiving many awards over the years, from people like What HiFi?, AVForums, Hi-Fi Choice and more. Q Acoustics make class-leading loudspeakers at a variety of price points, from their small bookshelf speakers, such as their 3010 & 3020 models, up to their high-end Concept 500 floorstanding speakers. These speakers are truly unique. With stands that not only look extremely cool, but have been designed to work in partnership with the speaker. The speaker has a clever “isolation base suspension system” that joins to the stand, this ultimately provides incredible isolation of the speaker and means vibrations are almost undetectable by hand. With a standmounting speaker design like this, of course, the speaker’s relationship with its stand is of fundamental importance. And it’s the design of the new Tensegrity stand, and the new isolation base suspension system that joins Concept 300 to it, that allows Q Acoustics to redefine the level of performance that’s possible from a smaller loudspeaker. 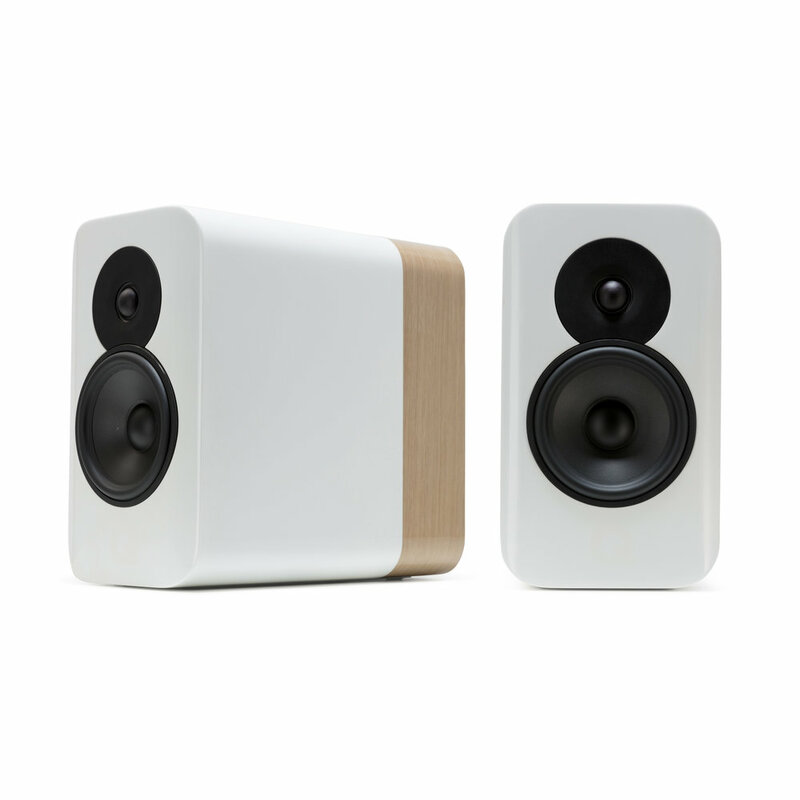 Q Acoustics deals with vibrations in the Concept 300 in two different ways. Low-frequency vibrations are handled with their Point 2 Point Bracing™ cabinet technology, which gives the cabinet the support it needs to handle panel vibrations. The second method uses their Dual Gelcore™ technology, which helps with high-frequency vibrations. The cabinet is made of three individual layers, each separated by a gel that never sets, this is effectively acting as a gasket, so any vibrations are turned into heat which then dissipates within the gel. The drive units have come from the award-winning Concept 500 floorstanding speaker. They have been modified and enhanced to work well in the smaller cabinet of the Concept 300. The mid/bass driver is a 165mm impregnated/coated paper cone with very low resonance thanks to its high-performance rubber surround. It sits in front of a large (35mm) glass fibre voice coil and equally substantial ferrite magnet. The result is midrange and bass response that’s as punchy and dynamic as it is poised and eloquent. All the technology, expertise and engineering that have gone into this speaker make it something really special. The fact they look super-cool is a added bonus. They come in three colours, Black/Rosewood, Silver/Ebony and White/Oak.